Charming & rare 40 acre homestead with a Mt Hood view on a quiet country road. Lovely, well maintained Ranch home sits back off-road framed by 2 picturesque red barns + a silo. Wood vaulted living room with beautiful views out front & back. 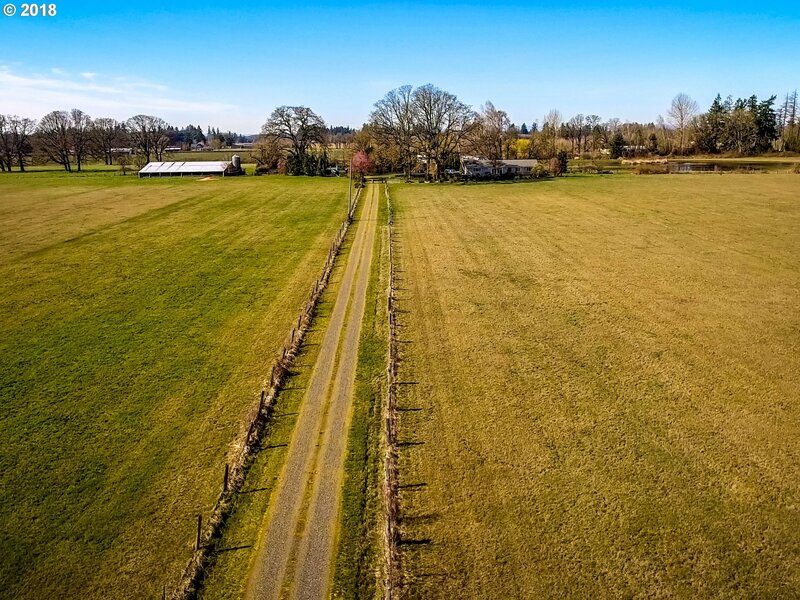 25 acres of flat fenced chemical free pasture for sheep, horses, cows! Newer high producing well + energy efficient geothermal heat pump. Somebody's dream is about to come true!